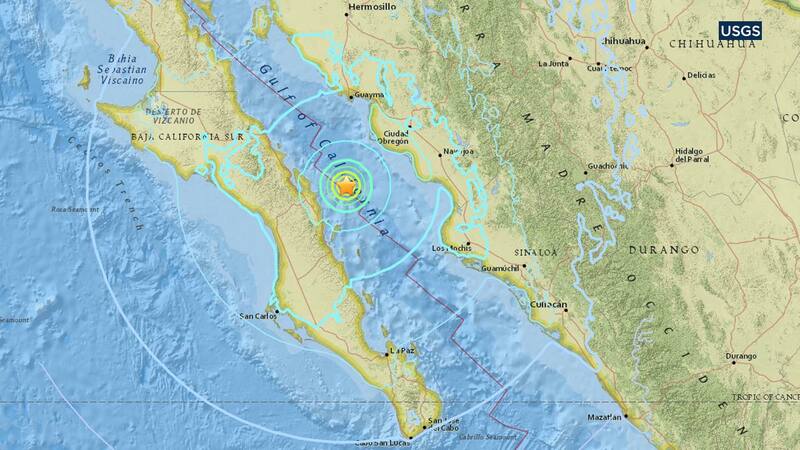 GULF OF CALIFORNIA (KABC) -- A preliminary-magnitude 6.3 earthquake struck Friday morning in the Gulf of California, just west of Mexico's Sinaloa state. The offshore quake struck at 8:17 a.m. PT and was centered about 48 miles north-northeast of Loreto, according to the U.S. Geological Survey. Its depth was measured at 6 miles. The area is a desert coastline dotted with small towns and fishing villages popular with U.S. tourists who park their recreational vehicles at seaside campsites. "We've felt similar earthquakes," said Yolanda Vallejo, owner of Rivera del Mar RV Park in Loreto. "No damage. My plates didn't even fall over."